As two of the most influential and well-known authors of the 20th century it is not surprising that F. Scott Fitzgerald and Ernest Hemingway would inspire a great many young writers. The surprise is that one of those young writers would go on to achieve a comparable level of importance to his predecessors in the literary world. Fitzgerald and Hemingway both influenced Jerome David Salinger but in very different ways. 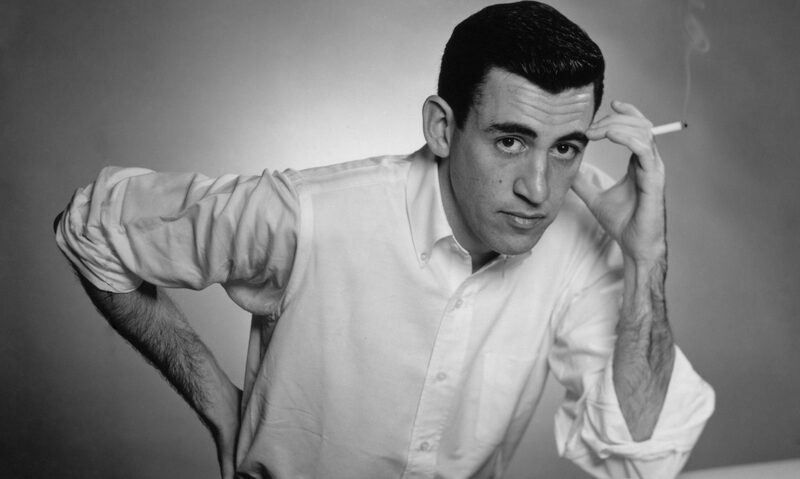 Aside from Fitzgerald’s overall influence on Salinger’s vision for the direction his career would take; there is also evidence that Fitzgerald’s writing directly inspired Salinger’s own works. One prominent example of this is the end of “A Perfect Day for Bananafish” which bares a striking resemblance to the end of Fitzgerald’s novelette “May Day,” published in 1920. In his hotel room Fitzgerald’s main character Gordon Sterrett took the revolver he bought at a sporting goods store and fired a shot into his own head “just behind the temple” (Fitzgerald 141). Salinger’s main character, Seymour Glass also committed suicide in a hotel room. Ernest Hemingway’s influence on J.D Salinger and his writing was far more direct than that of Fitzgerald. Salinger first met Hemingway at the Paris Ritz in 1944. In his book Ernest Hemingway: A Life Story, Carlos Baker describes the first meeting. Fitzgerald and Hemingway both played vital roles in the development of Salinger’s career but their roles in each other’s lives are equally important. Hemingway was notoriously harsh regarding Fitzgerald, often insulting him in his writing. In A Moveable Feast Hemingway provides a venomous account of his first meeting with Fitzgerald in the Spring of 1925 at the Dingo Bar in Paris, despite the fact that after that meeting Hemingway took Fitzgerald’s advice on cutting the first 20 pages from The Sun Also Rises. Jeffrey Hart explores this in his article “Fitzgerald and Hemingway 1925-1926” in which he states that Hemingway also used Fitzgerald in his fiction in “The Snows of Kilimanjaro” and The Sun Also Rises, featuring Robert Cohn- a character who tries unsuccessfully to be a gentleman he is described as being “a romantic and a bad novelist” and a “sloppy drunk.” All thought to be jabs at Fitzgerald. Despite Hemingway and Fitzgerald’s tumultuous relationship both were successful in making an impact on J.D. Salinger. It seems that he used them both for inspiration directly in his writing and used their careers as guides in finding his own path. Baker, Carlos. Ernest Hemingway: A Life Story. New York: Scribner’s, 1969. Print. Fitzgerald, F. Scott. The Short Stories of F. Scott Fitzgerald. Ed. Matthew Bruccoli. New York: Simon & Schuster, 1995. Print. Hamilton, Ian. In Search of J. D. Salinger. New York: Random House, 1988. Print. Hart, Jeffrey. “Fitzgerald and Hemingway in 1925-1926.” The Sewanee Review 105.3 (1997): 369-80. JSTOR. Web. 22 Sept. 2009. <http:/www.jstor.org/stable/27548390>. Hemingway, Ernest. A Moveable Feast. New York: Scribner’s, 1996. Print. Salinger, J. D. Nine Stories. New York: Back Bay Books, 2001. Print. Skow, John. “Sonny: An Introduction.” Time 15 Sept. 1961. Print. Yes! Finally someone writes about todays. Where did you get the tip on the similarity between “A Perfect Day for Bananafish” and “May Day”? I’ve been searching the source for ages. Please let me know. Thank you!